When you perform a Google Images search, the resulting photos are not necessarily ones that you’re free to use however you wish. In the majority of cases, these photos are still covered by photographers’ copyrights. If you’re looking for photos to use for a design and wish to avoid copyright disputes, you need to locate websites that explicitly define the copyright license of each image. This is where stock images are useful. Whether you’re designing or running a website, stock photos are a necessary component. While you can pay for stock photos, there are plenty of free options that have beautiful images in a nearly any category you can think of. In this post, we’ve curated a massive list of free stock photo sites that you can download and use for your personal and commercial projects. We’ve also included information on licensing and attribution where available. Death to Stock delivers a photo pack of 10 photos within a specific category to your inbox each month. The site’s goal is to offer a variety of options to use for your mockups, blog posts, or social media. Death to Stock uses their own license, which you can read on their website. IM Free offers a curated collection of free resources, all for commercial use. Since the photos are from various sources, some photos may require attribution. Gratisography provides free high-resolution images for use on your personal and commercial projects. New photos are added weekly and are free of copyright restrictions. All pictures are captured by Ryan McGuire of Bells Design. 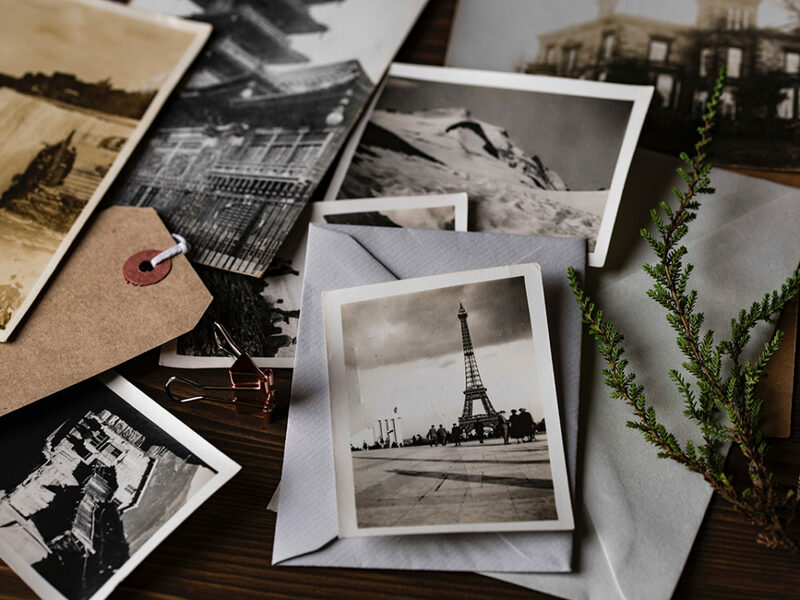 Unsplash offers a large collection of high-resolution photos, and it has easily become one the best sources for free stock images. The service’s team combs through new submissions and features 10 high quality photos every 10 days. Freestocks provides a wide range of free high quality photos. The site allows you to use photos for personal and commercial projects. All photos on Freestock are released under the Creative Commons CC0 license. MMT offers a collection of high resolution photos provided by Jeffrey Betts. The site adds new photos on a weekly basis, and you can use the images for commercial use. All photos on MMT are released under the Creative Commons CC0 license. Picjumbo is a collection of free photos for your personal and commercial usage. The site adds new photos daily from a wide variety of categories such as business, technology, nature, transportation, and more. StockSnap has a large selection of beautiful free stock photos and high resolution images. The site adds hundreds of images on a daily basis, and it also tracks views and downloads so you can find the most popular photos available. All photos on StockSnap are released under Creative Commons public domain, so no attribution is required. SkitterPhoto is a free stock photos that provides a large variety of images for personal or commercial use. Photos are searchable by keyword or category. All photos on SkitterPhoto are released under the Creative Commons CC0 license. Negative Space provides 20 new photos every week. The photos are searchable and can be sorted by color, category, and copy space. All photos on Negative Space are released under the Creative Commons CC0 license. Burst is a free stock photo service offered by Shopify, and it provides stock images for entrepreneurs. Many of the pictures were taken in-house and are themed around currently trending business niches. All photos on Burst are licensed under the Creative Commons CC0 license. Kaboompics is a collection of high quality free stock photos. The site provides photos in a variety of categories including abstract, city/architecture, fashion, food, landscapes, and more. All photos on Kaboompicks can be used for personal and commercial purposes but cannot be sold or redistributed. Picography contains beautiful free stock photos submitted by Dave Meier and other photographers. You can use the photos for commercial work as well as other uses. All photos on Picography are released under the Creative Commons CC0 license. Little Visuals’ owner, Nic, passed away, but his photos remain online in his memory. All photos on Little Visuals are released under the Creative Commons license public domain dedication. New Old Stock contains free vintage stock photos from public archives. All photos on New Old Stock are free of known copyright restrictions. FoodiesFeed contains thousands of high resolution, beautiful, and authentic free food photos. It’s the perfect stock photo site for food bloggers and allows use of photos for personal and commercial use. Jay Mantri offers free photos in a variety of themes and categories. All photos on Jay Mantri are released under the Creative Commons CC0 license. Epicantus provides free original photography by Daria. You can use these high-resolution images for your blog posts, landing pages, and website designs. All photos on Epicantus are released under the Creative Commons CC0 license. Life of Pix is a resource offering free high-resolution photos with no copyright restrictions. The site features photo galleries for categories such as desk, city, people, urban, and more. FreeImages offers thousands of pictures from a diverse set of categories. There are photo ranging in business, industrial, sports/fitness, and architecture categories. If you’re using the photos for commercial use, attribution is not required. However, if you’re using the photo for editorial use, then attribution may be required. Read the FreeImages license for more information. Public Domain Archive releases free vintage and modern stock photos every week. Just as its name suggests, the images on this site are released under the public domain. All photos on the public domain archive do not require attribution. Pixabay provides a large collection of free high quality stock photos as well as art illustrations and vectors. All photos are released under the Creative Commons CC0 license. Superfamous Images is curated collection high-resolution images by Folkert Gorter and his peers. These photos are perfect for usage in website design. All photos on SuperFamous are released under the Creative Commons Attribution 3.0 license and require attribution. Getrefe contains high quality photos by a series of photographers traveling through Europe. If you’re looking for landscape, work, travel, and cityscape photos, then Getrefe is the site for you. You can use the images for personal and commercial projects. The photos on Getrefe do not require attribution. Freerange contains a collection of high quality photos from the site’s own in-house and external photographers. You can find photos through search in categories ranging from editorial and news, business, health/fitness, and more. Most of the photos on Freerange are Creative Commons CC0 license, but some photos are under the site’s own license. Stokpic provides up to 10 free stock photos every two weeks. Categories range from black and white, architecture, people, technology, and more, and you can use the photos for commercial projects. All photos on Stockpic are licensed under the Creative Commons CC0 or the site’s own simple or full license. Pexels offers free stock photos for personal and commercial use. The site has a number of photos where you can filter by popularity, discovery, and what other people are searching. All photos on Pexels are licensed under the Creative Commons CC0 license. Fancy Crave has a curated list of free stock photos in numerous categories. The site’s operators handpick two photos daily and offer them for free. You can use Fancy Crave’s photos for personal and commercial use. All photos on Fancy Crave are licensed under the Creative Commons CC0 license. Startup Stock Photos offers free stock photos for startups, entrepreneurs, bloggers, designers, publishers, and more. All photos on Startup Stock Photos are licensed under the Creative Commons CCO license. SplitShire has free stock photos for commercial use. The site has categories of photos that include: still life, nature, technology, fashion, and automotive. All photos on SplitShire are licensed under the service’s own license. ISO Republic provides free stock images for creatives. The site hosts images in a number of areas such as food/drink, urban, textures, and people. You can use the photos on ISO Republic for personal or commercial projects. All photos on ISO Republic are licensed under the site’s own license. Attribution is not required but is appreciated. For all the sites on this list, the license is relatively easy to find. Typically, there’s a description of the license on the page or a link to a description. Creative Commons 0 (CC0) means that you can use the photos in any way you’d like. You do not need to ask for permission. Creative Commons with attribution means that you can use the photo in any way you want, but you must credit the creator of the photo. Attribution is simple: If you include a photo on one of a web page, add text that cites the photographer (“Photo by Jane Smith”) and be sure to include a link to his or her site, if there’s one. While we have provided license information where possible, be sure to check each website’s license page for specific details.